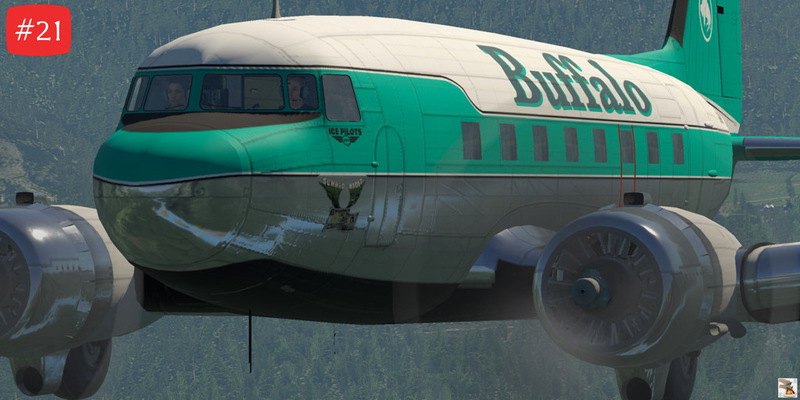 A collection of liveries (does not include the plane) applicable to the VSkyLabs Douglas C-47 Skytrain add-on aircraft for X-Plane 11, depicting twenty-seven liveries implemented by Buffalo Airways upon their fleet of eighteen different airframes ...including five visibly scavenged for parts. 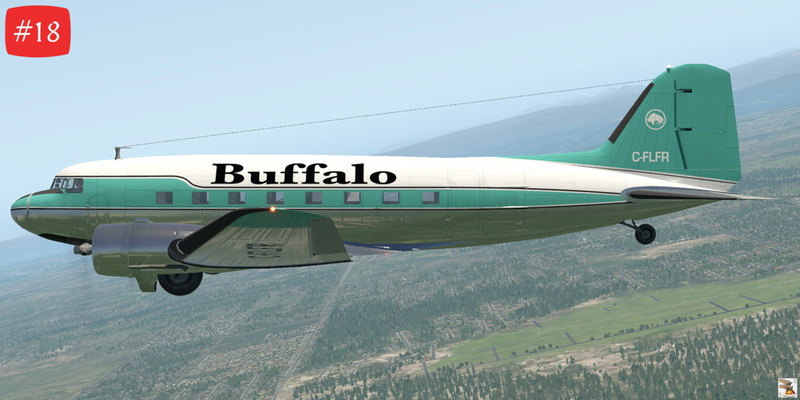 * Each exterior texture is customized to represent the subject livery as it appeared during targeted year. 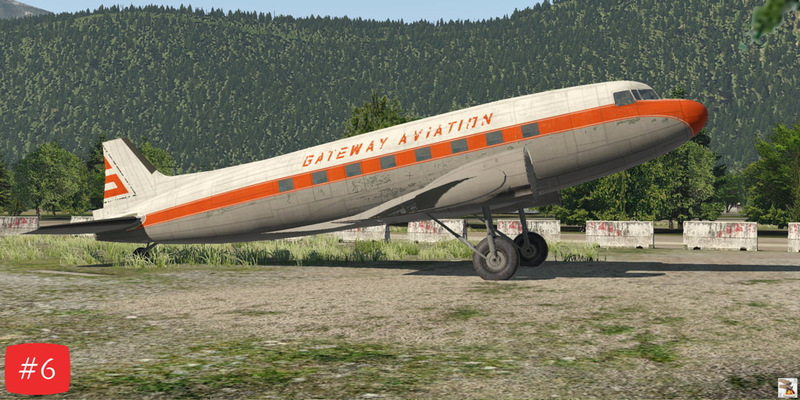 * Likewise, several separate interior textures are designed to faithfully depict the aircraft's cabin space. * As of version 2.79, passenger seat visibility is toggled in the simulator by clicking upon the equipment rack located aft of the co-pilot's position. 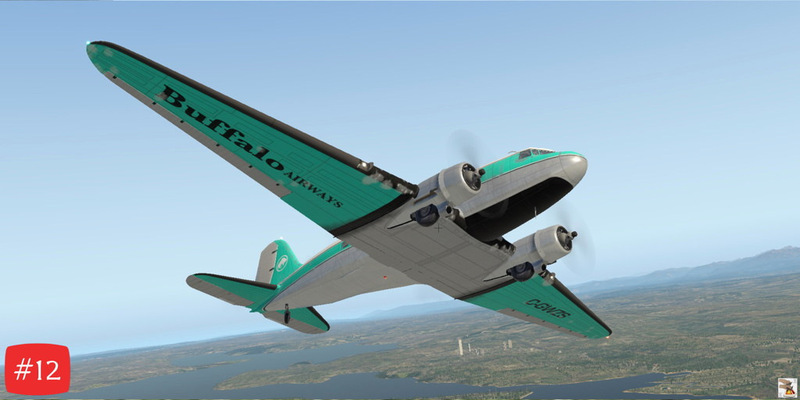 Some SimSmith liveries intentionally do not display the equipment rack and seats although the hot-spot is still in force (watch your pointer change as you move it). * Optional replacements for the spinning propeller texture (whose tip color is red by default), along with installation instructions. 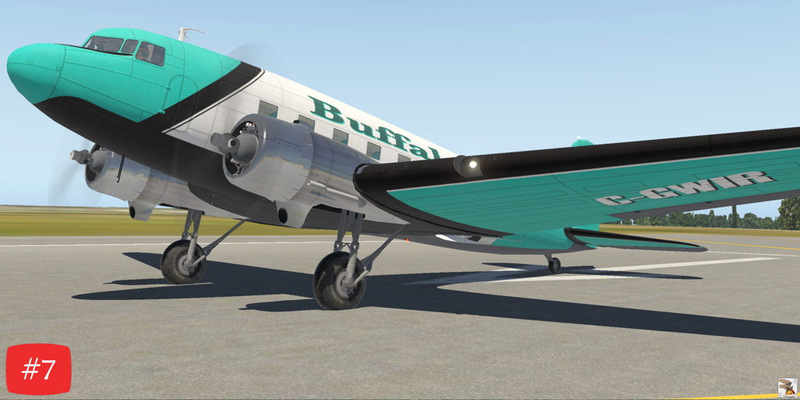 This add-on package contains the original artwork of Robert W. Heyen d/b/a SimSmith and it is not affiliated with or endorsed by Laminar Research, VSkyLabs or Buffalo Airways. Do not contact VSkyLabs or Laminar Research with questions regarding this SimSmith product. Support requests should be sent via e-mail to simsmith@windstream.net. 5. Optionally, a text editor to revise select .obj files.